Bagpipes will sound, glasses will rise and a sea of green will flood Kansas City! Don’t miss out on the 41st annual St. Patrick’s Day Run. Whether you hail from Missouri, Kansas or the beloved hills of the homeland, sign up now for the greatest Gaelic gathering this side of the Atlantic……and may the luck of the Irish be with you! Friday March 15th 10:30am to 6pm. Saturday March 16th (race morning) 8-10am. Runners may pick up another runners packet by providing the runners name. Be sure to let them know you are picking up for them. If you would like to trade out your shirt for a different size, leftover shirts will be available in the packet pickup area after the race has started. Have a group? Email info@resultskc.com with all the names in your party. We’ll pull the shirts and bibs ahead of time. Look for the “Concierge” sign at packet pick-up, and your bag will be waiting there for you! Get your results texted to you! Sign up here. Your 2019 guide will be posted a few days before the race. If you are participating in the race as a virtual participant, simply pick up your packet, shirt and finisher medal at packet pickup as normal. Then run/walk the distance whenever and wherever is convenient for you. If you are unable to pick up your packet before the race, it will be available at the Kansas City Running Club office at 208 W 79th St, KC, MO 64114 beginning the Tuesday after the race. Please email us before you stop by to let us know you will be there, info@resultskc.com . If you did not originally sign up for the virtual race but need to switch to the virtual option, shoot us an email at info@resultskc.com as soon as possible or let us know at packet pickup. Park in the Manor Square garage or in adjacent parking lots. Save $2 per person by signing up with a group of 3 or more people! The Elite Start wave is for runners who will average a mile of 7:30 or faster. All other paces will start at 10:02 A.M. Look for the pace signs and line up according to your pace. This is a family friendly event and strollers are welcome! We ask that walkers with strollers start behind the runners so everyone will be safe! No runners with ear buds, motorized vehicles, roller blades, bikes or dogs will be allowed on the course as our insurance policy does not cover these. Parking will be available in the Manor Square garage, along the streets, and in adjacent parking lots. There will be an aid station at mile 2 and another at the finish. All 4 Mile participants will receive a festive Finisher Medal! This event is timed using a disposable bib tag timing device. No need to return your chip when you are done! RESULTS Results will be posted immediately upon crossing the finish line! Go to the results kiosk and type in your bib number to find your finish time and placement. Photos/video of you crossing the finish line will be included with your results approximately 24 hours after the race! The results will also be posted at www.resultskc.com. If you need to leave before awards are announced, we are happy to give you your award early. Don’t even have time for that? Friends can pick up awards for you. 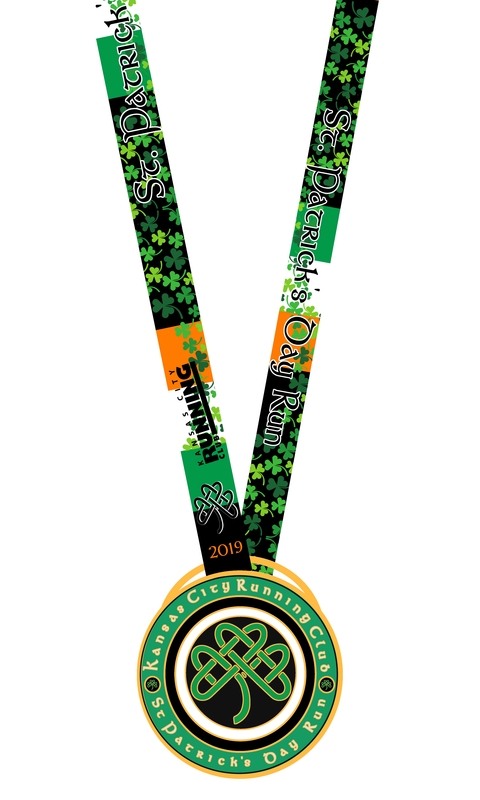 Any awards not claimed at the race can be picked up starting the Tuesday after the race at the Kansas City Running Club office, 208 W 79th St, KCMO, 64114. Email us at info@resultskc.com before you stop by. Competitive: A Competitive Team consists of 3 or more runners. Prizes will be awarded to the three fastest teams, judged by the low total cumulative time for the first 3 finishers on each team (a “cross country” scoring format). Centipede: A Centipede Team consists of 3 or more attached runners. Think up a theme and make costumes! Awards will be presented to the fastest and the three most creative teams. Costumes and festive attire are encouraged, so start planning your outfit today! Join us in a sing along of “When Irish Eyes Are Smiling” before the race and let your mind wander into the hills of the fatherland. Look for Irish Dancers kicking up their heels to a little jig! Look for the photo op area where you will find a backdrop, inflatables and real life Leprechauns! Post your photos on social media with the hash tag #stpats4milerun. Pictures will be posted at seekcrun.zenfolio.com/f358754820 24 hours after the race! 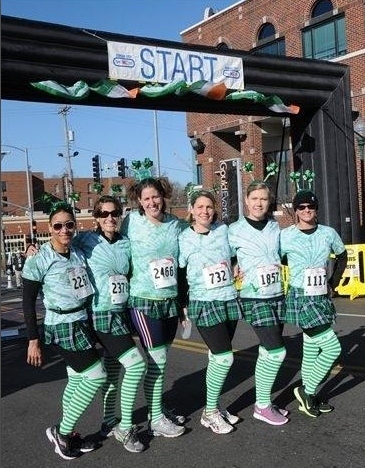 The Kansas City Running Club is excited to team up with Big Brothers Big Sisters of Greater Kansas City as the official charity partner of the St. Patrick’s Day Run! Click here to find out more about Big Brothers Big Sisters.